How important is teaching gratitude to our children? 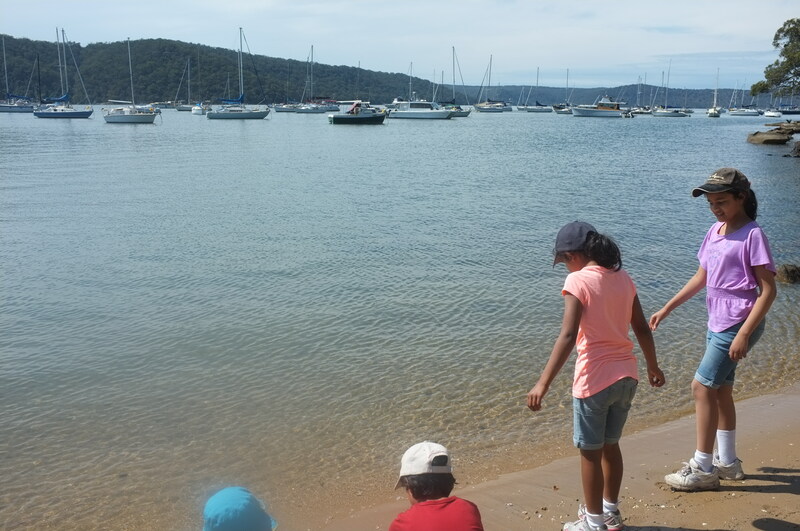 Exploring at the Hawkesbury River today, the last day of our spring school holidays. My column originally published in The Catholic Weekly last week. I love the school holidays because they give me a chance to organise get-togethers with friends we don’t get to see in the regular course of things. During one of these last week I was watching our children tear around their friends’ backyard with them, tumbling on the trampoline, hiding in a tent, and riding on toddler bikes. One of my friends commented on how grateful he was that his children are all thriving, healthy and happy. If we’re truly grateful for everything we’ve been given, we see life much differently, he remarked. I think that this is true, and that most of us know it. There has even been a sort of gratitude movement in recent years, seen in the popularity of books about gratitude across the religious and popular science genres, promoting the concept as integral to mental and spiritual health. Some people keep gratitude journals, listing the things they are grateful for having received at the end of each day. People share inspirational quotes with beautiful pictures on social media exhorting friends to count their blessings. There is even a popular trend on social media, 100 days of gratitude, where people list something they are grateful for each day for 100 days and then challenge their friends to do the same. We all know that God provides for us, that He cares for us, that he is blessing us all the time even (or especially) when life seems hard. We all know that we should be grateful. Often I am grateful because I know I should be, because it is a virtuous habit I try to cultivate. It is not yet something which naturally wells out of my relationship with God. But a truly virtuous person, a truly grateful person, doesn’t need to try or to remember to be virtuous. It begins that way and so it’s good to try as best we can, but the saints show us what it really is to be virtuous, what it looks like when, as St Paul described, “it is no longer I who live, but Christ lives in me”. Last week on October 1 the Church celebrated the feast of St Therese of Lisieux, who charms us with her simple trust and gratitude. She must have loved St Paul’s letters because she looked to them for advice at crucial times when she needed help. Gratitude is a central theme in his letters too, and like St Paul, St Therese became a wellspring of love and gratitude that spilled over every aspect of her life and every relationship she had. She received gratitude in prayer, and she returned it in prayer and in her everyday life. “For me, prayer is an upward leap of the heart, an untroubled glance towards heaven, a cry of gratitude and love which I utter from the depths of sorrow as well as from the heights of joy,” she wrote. And this, “Jesus does not demand great actions from us, but simply surrender and gratitude”. We try to exercise gratefulness, and pray for the gift of gratitude as well. It might be the most important life skill we impart to our children, and one of the greatest gifts we can ask for them. What do you think? What are the most important things we can teach our children, and how high would gratitude come on your list?